My kids got another trampoline for Christmas. Not another as in, now they have two, but another as in a replacement for the one that had fallen apart. And to be fair, we got our money’s worth over the last decade of jumping… Jumping with friends, jumping with the hose on, jumping with balls, jumping during the day, jumping in the middle of the night, jumping like a ninja, jumping like a tiger. And not just jumping… reading, playing, fort-making. sleeping. Lots of trampoline sleepovers happen on the Ranchito. It’s an easy yes. Snacks packed, sleeping bags fetched, usually Dad’s electric lantern in tow, and they all pile on for night under the stars. Sometimes they’re cold, sometimes they’re hot, sometimes they’re a little scared, but they’re always happy. And honestly, it’s what I pray they remember the most. Honoring the childhoods’ of my sons and daughters is a pillar in my mothering that becomes all the more load-bearing as they get older. Do you feel it too? The overwhelming crush to reduce motherhood to management... Manage the schedules of the small adults the world is trying to steal from us? From childhood? From play? From the land of trampolines and imagination? 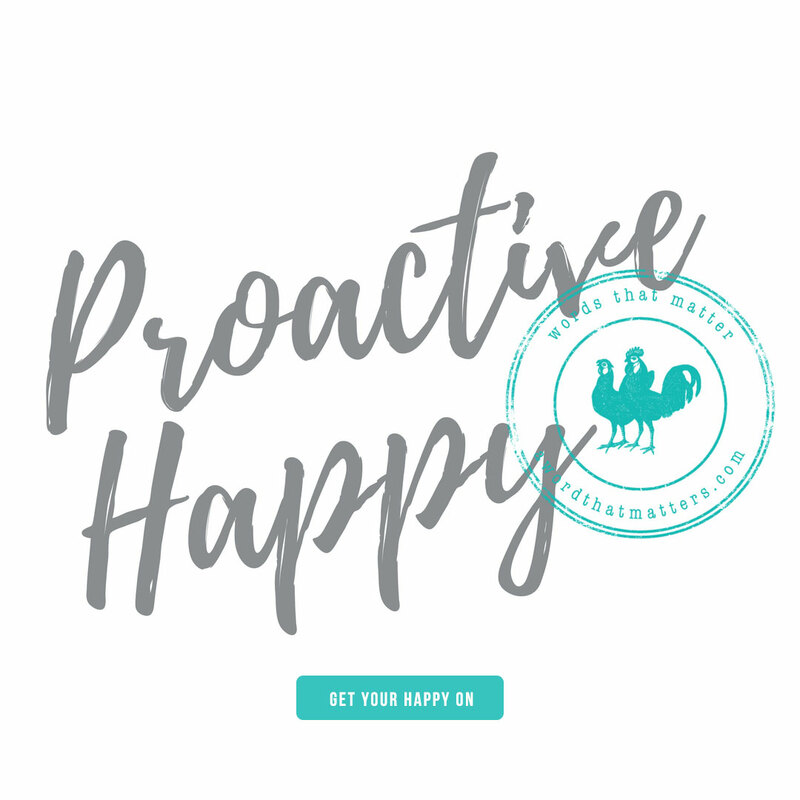 Manage their activities, and meal plans, and grades, and friendships, and every single second of their entire lives? I have preached it before and I will preach it again… Not on my watch! You may have heard that “LAUGHTER” is my Word of the Year. I wasn’t happy about it at first. It felt less than inspiring and spiritual. It felt… well, it felt childish. HA! Okay God, I see you. As my children get older, I realize that laughter will be glue for our family. It’s what they value. It’s what they want to participate in. It’s what draws them and their friends in and what keeps them around a dinner table. And laughter simply needs space to live. As Christians, we like to tout joy as holy- and it is. But I’m just saying that joy no one can see or hear isn’t all that powerful or convincing. Joy out loud is laughter and it will live here this year. So I’ll watch the animal videos again. I’ll try to understand the Vines and the inside jokes they still want to tell me about. I’ll participate in the GIF wars and sit through the Will Ferrel movies. My 9 year old asked for a wagon for Christmas and I watched her bravely stand by her request as adults and children alike questioned her on it over and over. She loves the wagon. (It’s a big purple wagon by the way). She hauls stuff all over the Ranchito. She helps with the groceries and chicken feed. She gives her dogs and her little brother rides. She takes the sleeping bags and snacks out to the trampoline for the sleep over. Long live wagons and trampolines. So some of my kids do really well in school and some struggle. Some of my kids are EXTREMELY COMMITTED to their “sports” and some can take it or leave it. Some of my kids never miss an opportunity to socialize and some need a little encouragement (AHEM) to participate. Some are self-starters and some are great at sleeping in. Some are a bit moody these days and some are hysterical. And it is my joy and job to honor the childhoods of each. It takes attention and intention. It takes flexibility as that charge changes daily. And I’m thinking it’s going to take a lot of laughter. My peace and quiet, my tidy house, are ransomed at it’s cost most days and I figure there will be years to come for that. Around here we love shark movies and ballet. We love Pirates of the Caribbean and Guardians of the Galaxy. We love family fondue nights and road trips. We love to rescue animals and to grow plants. We love Michael Jackson and Bethel Worship. We love John Christ and Taylor Swift. We still dress up to go out in public most days and a light saber is never out of reach. We drink a lot of hot chocolate (from scratch of course) and eat a lot of popcorn. We fight sometimes but we laugh too. Long live childhood. Not just historically or generically. Let it live long in your home. Let it linger into the teenage years. Don’t rush it. Don’t let the “hurry sickness” of the world rob your kids. Be a mother, not a manager. Be the gatekeeper for childhood. Guard it and participate in it. Laugh like it is warfare, because I believe it is. Anyone can manage… only you can mother. I pulled in the other day, on my son’s 13th birthday, and he and his buddy were jumping on the trampoline like the kids they are. Give them space and they’ll remember that they’re not too cool to play. 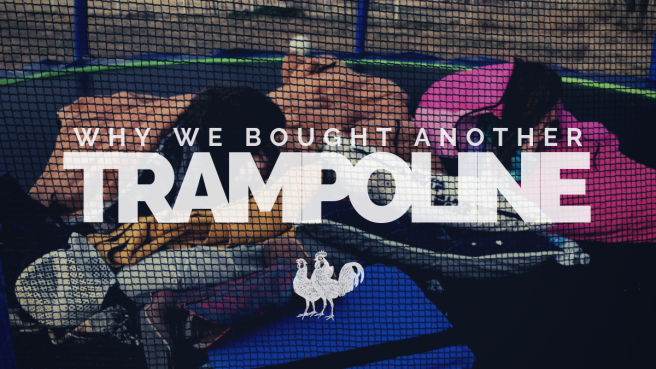 So if you need permission to buy another trampoline for your teenagers, here it is. If your big kids want a wagon, get it. If you need to push pause on all the activities to have a dance party to Vanilla Ice in your kitchen, do it. Don’t shush the laughter in the name of peace and order. Don’t get sucked into the lie that it’s your job to manage them. Childhood is hallowed ground. Laughter is holy work. Let it be part of your legacy, the Land You Leave. The magic of it will live long after the years pass if we honor it today. What if “legacy” wasn’t relegated to finances and death, but emerged as an intention for 2019? An item on our to-do list? Something we could grow and cultivate today? A filter we used as we walked into every relationship? A story we told with our lives now? We get to sow into the fruitfulness of those God puts into our lives and that just may be the most important work of all. We can sow seeds into our children if we are mothers. We can influence the lives of our students if we are teachers. We can pour into our friends, into our community, into our co-workers. They will feast on the fruit that is being produced in our lives or starve from the lack of it. I am humbled and blessed to tell you (again) that my own mother is a mighty woman of God. She sowed a deeply rooted love for the Word into my life in childhood. I watched her study and teach. I saw the books on prayer by her chair. I heard her say no to many things so she could say yes to pouring into an ever-growing group of women on Wednesday mornings- FOR DECADES. That is my Spiritual Family Farm and I will never take it for granted. I couldn’t inherit Jesus from her, just like our children, friends, the next generation will not inherit a relationship with Jesus from us. They will have to choose for themselves. But we can sow the seeds and they will matter. The most important tool my mom left me in the gardening shed on the Family Farm was Bible Study. In fact, it saved my life. It saved my marriage, my mind, and our legacy. After I got married and moved thousands of miles away from all I had ever known, my life began to unravel. I was betrayed by my own unrealistic and sinful expectations of marriage and put too much of my happiness and identity on my very young husband. For the first time in my life I found myself actually NEEDING the Jesus that I had committed my life to all those years before. And I knew where to find Him. I knew where to look. My mom had shown me the way. Listen to me, If I had started from scratch with God in those desperate days and years, my story may have turned out differently. What my mother had sown into my life, both in her words and deeds changed my life, my future, our legacy. So now it is my turn. This is what I desire to pass on to my own four children. If nothing else, they will see their mother’s nose in her Bible every morning when they wake up. Every. Single. Morning. 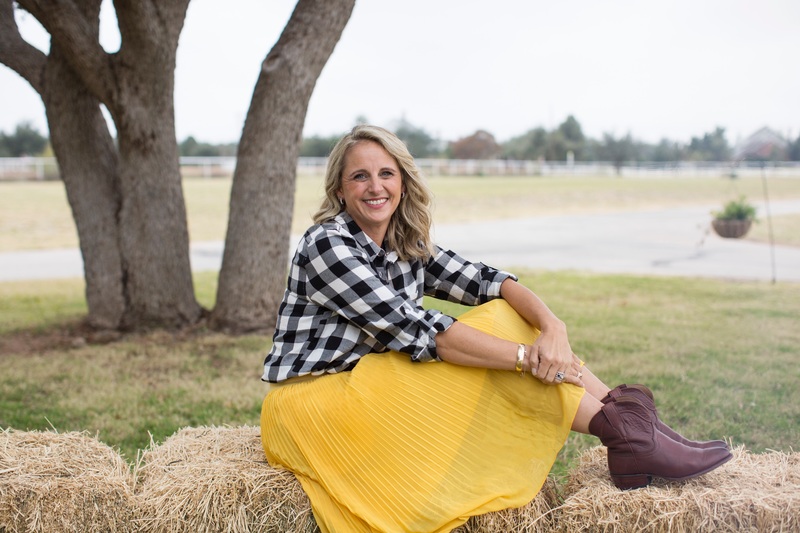 They may feel a little sting of sacrifice as she commits to teaching the Word she loves. They will be challenged from an early age to spend their own time reading their Bible daily. I’m okay with it being merely a checkbox during these early years. It was for me too and I trust God with those seeds. 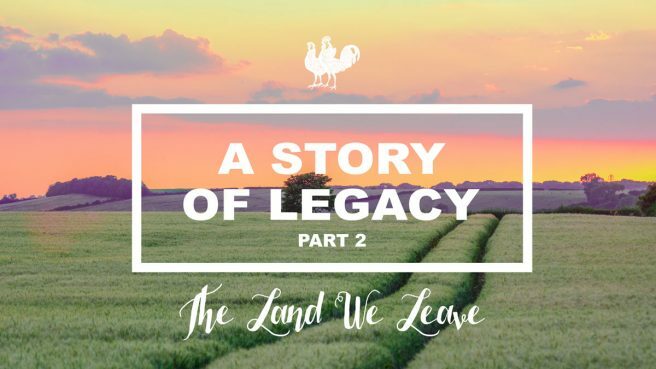 What I do know is that it is my responsibility to pass on the legacy that was left to me- to my own children and to those that are in my sphere of influence. I will make sure that the Spiritual Family Farm is intact when I hand it over. Prayer, church membership, social justice, evangelism, worship, giving… these can all be a part of the legacy you leave. The hard reality of this world is that we usually reap exactly what we sow, but on the Spiritual Family Farm we have the privlege to provide for others what they didn’t have to work for, for themselves. We can give them a leg up. I believe a stunning example of a legacy left is found in I Chronicles 28. In my parallel Bible, with several versions side by side, I see a slightly different heading above this chapter in each; “David’s Instruction to Solomon,” “David’s Plans for the Temple,” and “Solomon Instructed to Build the Temple.” In just comparing the headings, we know that there are two key players in this passage with one objective; David, his son Solomon, and building the Temple. King David had his heart set on building the temple as a permanent dwelling place for the ark of the covenant and the glory of God. Not only that, he had even begun the process by making plans to build it. David had a dream. A good, God-honoring dream. He had plans for this fruitful endeavor in his life. I Chronicles 28: 11-18 goes on to list all the plans, instructions, and materials that David passed down to Solomon concerning the temple. He literally passed down the dream of his heart to his son. But was it just his dream? After all, God basically said that David was unqualified to to build the temple.. that his resume didn’t line up with that kind of work. Where did the dream, the plans, come from in the first place? It seems that it was God’s plan all along for David to receive the instructions, and for Solomon to carry them out. It was a multi-generational kind of harvest. It was literally a temple of legacy! We may not have physical blueprints from God for something we are to pass along to the next generation or to those we are allowed influence over, but all of us will leave a spiritual legacy behind. What will it be? We get to choose. As 2019 begins, my prayer is that we will always have a view of our Spiritual Family Farm in front of us… that we will take some time here at the beginning of the year to plow those fields as well. In I Chronicles 28:19 David says, “All of this I have in writing as a result of the Lord’s hand on me and He enabled me to understand all the details of the plan.” What if we pushed pause on the “tyranny of the urgent” and wrote down a plan for our legacy as well? If we are not intentional about putting some thought and prayer into what we want it to be, we may miss important opportunities to sow into others. What is the “asparagus” you can plant today that someone else will gain nutrition from in years to come? Pray to provide some of those “large flourishing cities (they) did not build, houses filled with all kinds of good things (they) did not provide, wells (they) did not dig, and vineyards and olive groves (they) did not plant” (Deut. 6:10-11) for someone in 2019. I find myself here every few months. Panting. Frazzled. Threadbare and world-weary. Poured out and never filled up, believing it is up to me to keep the world spinning. And with the holidays upon us, the to-do list grows even longer and the demands grow even greater. It seems there is no end in sight. I make a terrible god. I’m beckoned back to re-take the test I have failed once again. I shuffle my feet to the heartbeat of my shame until I realize the classroom is a throne room and I am simply invited to rest there. Or maybe it is a peaceful garden like the one in my dreams, not in my back pasture. It is the place my soul longs for in the noise and hurry of my days and God has been calling me there more and more to teach me about Himself and His kingdom through the physical stuff of soil, seeds, weeds, and seasons. He is so gracious in His promise that He will be found by us, making His ways plain to us through creation. “Right! 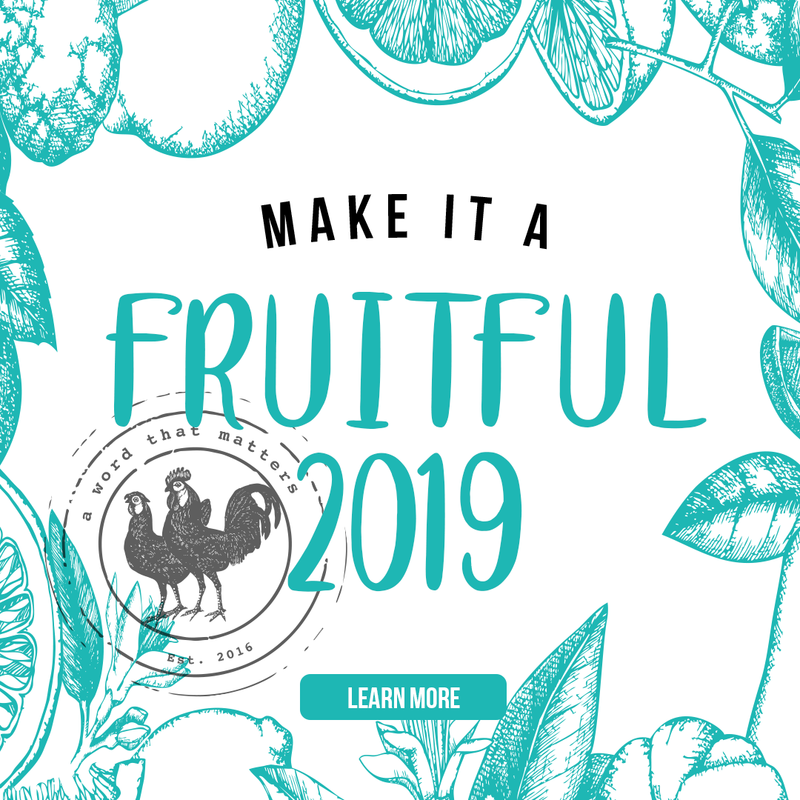 Yes!” I say too loudly, fumbling for the basket of scrawny, malnourished fruit I am trying to produce on my own, “Don’t you see how hard I am working? Don’t you see all the places I am serving, fields I am plowing, people I am loving?” All the while knowing the sad offerings of my broken down basket will never bring Him glory. I am not the ultimate gardener in this story and neither are you. God is the Father Farmer and like all good gardeners, He has a plan. This plan has been for fruitfulness, from the Garden of Eden to the Garden of Gethsemane, to the garden of my life. I feel a bit of the burden lifting. I am not the gardener, I am the field. We are the soil the Father Farmer desires to grow good fruit out of for a starving world. But unlike a physical field which has no choice in what it will become, we get to choose. A physical field may be the home of a land-fill or farm, it just lies in wait for the garbage or the seeds. But we co-labor, offering up our lives, our fields up to the hands of the master gardener. How have I mixed this truth up in my mind, believing that God is MY co-worker in MY service? It is evidenced in the panting, world wearied, frazzled state of my soul. The one and only way to co-labor with the Father Farmer and to offer up my humble plot of ground, is to abide. It is found right there at the Vine in John 15. But remaining isn’t passive, it is a choice. It’s a moment by moment choice for me. But unlike the exhaustion of operating out of my own strength, the work of abiding fills and equips me for the very fruitfulness that will bring God glory. 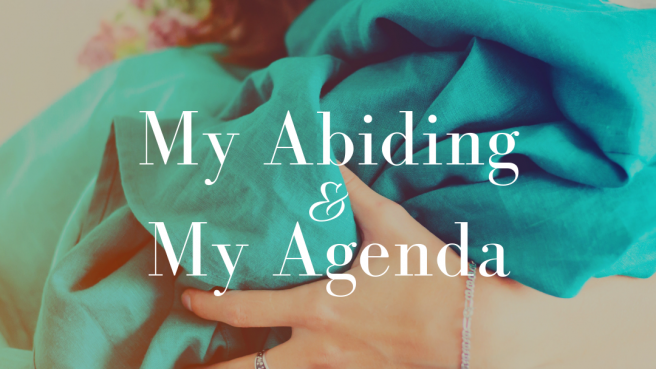 And I know the biggest enemy to my abiding is my agenda. Anyone else? I shelf my fruitfulness over and over when I choose my agenda over my abiding. I walk away from the peaceful, orderly garden planned perfectly by my Father Farmer towards my own path of striving and control. An empty terra-cotta pot on a shelf will never produce something of beauty or nourishment. An empty field, not yielded to the gardener will never be fruitful. Neither will my life, my walk, my ministry when I place it on the shelf of my own agenda, my own to-do’s, my own ideas for the garden. That fruit will rot on the vine and the world will think me my own disciple. And I will re-take the test again. Though it is simple- this remaining, this abiding- it is never easy. My agenda is loud and bossy. My abiding is quiet and satisfying. “You will know them by their fruits. Do men gather grapes from thornbushes or figs from thistles? Even so, every good tree bears good fruit but a bad tree bears bad fruit.” Matthew 7:16-17. When I look at the fruit my life is producing it is obvious if it is growing from my agenda or my abiding. So I come humbly to my Father Farmer and hand him my field once again knowing what He will grow will be for my good and His glory. And there I choose to remain.